Two books to help understand and use the natural laws which govern evolution and growth of everything - including you and me. An overview of our whole lifetime frees us from the daily "rat race". There is Purpose after all. *CLICK HERE* TO GET FREE DOWNLOADS. PROVE IT WORKS BEFORE SPENDING ANY MONEY. 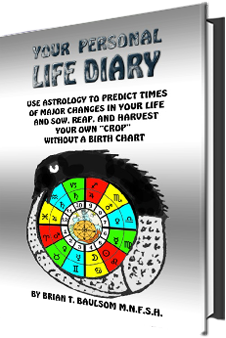 From the practice of Astrology Brian has discovered that we are all subject to 12 and 30 year cycles in our lives.We can use this knowledge to achieve the results that we desire. 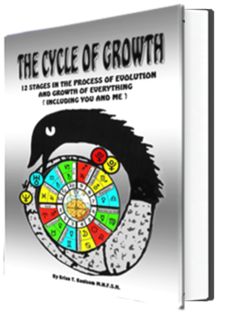 The Cycle of Growth compares and harmonises traditional philosophic and esoteric teachings with some of the latest discoveries in psychology and science. With over 40 years of practical Astrology and Tarot experience, Brian has also qualified as a full member of “The National Federation of Spiritual Healers” (now under the umbrella of The Healing Trust). He also passed a qualifying test by “The Institute of Spiritualists Mediums”. 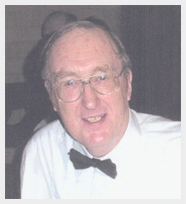 He gave up a growing Tarot and Astrology consultancy to research in greater depth. Brian’s deep theoretical knowledge and experimental practice of Astrology combined with extensive studies of Tarot, Kabbalah, Numerology, The Bible, The Chakras, and related areas of Psychology, Chemistry, and Physics has enabled him to develop a deep unique evidence-based insight that his books are built on. Traditional knowledge has been updated and verified by modern scientific discoveries – and life experience.